We played ball with the Citadel Baseball Team! 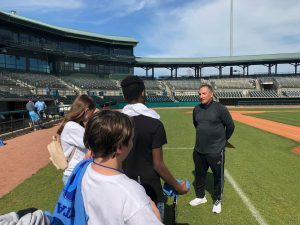 From learning about sports photography from Stan Foxworthy, and then off to Riley Stadium, as our youth worked out with the Citadel Baseball Team! 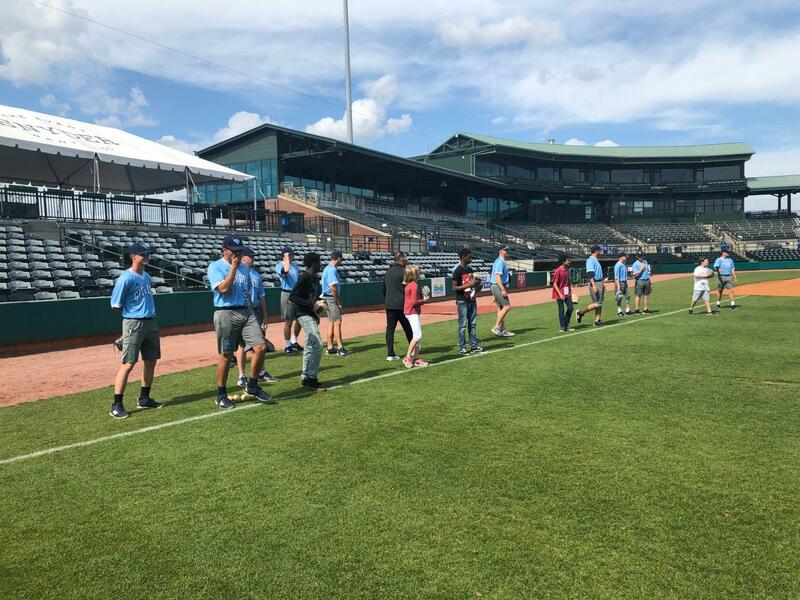 From the stretches, to the running and then participating in 4 stations on the field, our students were “Coached” right through in preparation for a game. 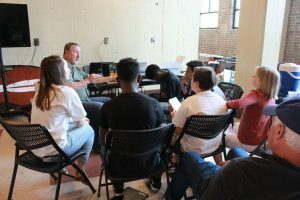 Then, we spoke with Coach Tony Skole, and began to collect a lot of short videos and still images to begin our “Tomorrow” part of our film. This was just DAY 1 – We love Baseball, and learning all about sports photography! Stan Foxworthy with the backpackers! The Backpackers line up with the team to work out!